Red Band Crazy Mix is a wonderful blend of candy from Red Band. 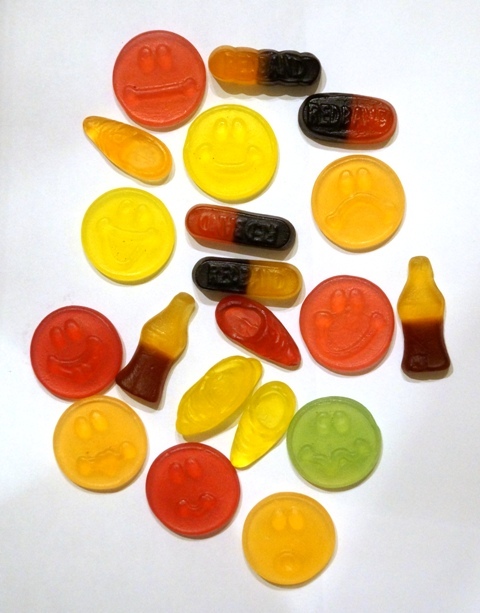 In the mix: Various fruit flavors of smily face and funny face chewy candies, gummy shoes, licorice and fruit combination pieces, and also cola bottles with a great cola taste. These are very delicious and each piece has the strong and bold high quality flavor you expect from Red Band.